The Balearic Institute of Maritime Archaeology Studies / Instituto Balear de Estudios en Arqueología Marítima (IBEAM) is a nonprofit organisation formed by professionals of underwater archeology aims to research, preserve, protect and disseminate the Maritime Cultural Heritage of the Balearic Islands. Cooperate with the local authorities in the protection of underwater cultural heritage of the Balearic Islands. 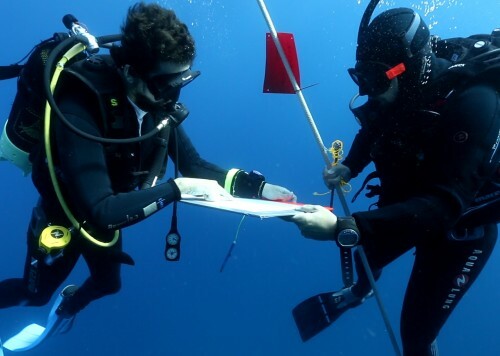 Planning scientific research campaigns directed and developed by maritime/underwater archeologists for a better understanding of the balearic underwater cultural heritage. Dissemination of results from fieldwork promoted by IBEAM to general and scientific public , aimed to create a conscience of protection and interest around our Maritime Cultural Heritage. Research based on the knowledge of the archaeological underwater landscape of Formentera, aims to protect, preserve and disseminate the Maritime Cultural Heritage of the island. Archaeological Fieldwork on the known as “lamps shipwreck” a roman vessel from first century A.D sunk at PortoCristo cove. Formed as archaeologist by the University of Cadiz and Nantes University with a MA in Archaeological / Cultural Heritage methodology has a wide experience in underwater archaeology participating with recognised institutions such as DRASSM (Département des recherches archéologiques subaquatiques et sous-marines, Francia), INA (Institute of Nautical Archaeology of Texas) o AIMA (Australasian Institute of Maritime Archaeology). 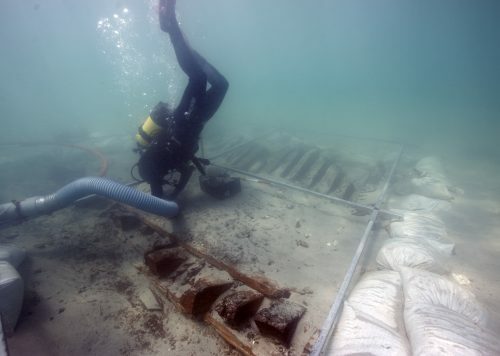 Expert in Nautical Archaeology by the University of Barcelona from 2011. Over the last few years his professional activity has been centred on the Maritime Cultural Heritage research of Ibiza and Formentera, where is currently living. His role in IBEAM is focused on management and graphic documentation of every scientific project developed by the Institute. Degree in marine biology and occupational diver with more than 5,000 dives during his 20 years of professional activity makes of him an expert in the underwater environment of Balearic Islands. Playing an important role as Dive Supervisor in the IBEAM's scientific activities, support every underwater archaeological intervention with the appropriate safety framework and management. Degree in nautical and maritime transport , he has developed his career as a vessel operator in the waters of Galicia , Cadiz, Cartagena and Ibiza its current position . His knowledge of navigation help us for a better understanding about routes and maritime courses, supporting with interesting information the potential underwater remains found in the waters of Balearic Islands. Help us to continue protecting Maritime Cultural Heritage of the Balearic Islands. There Is much story to tell … Support us! You can make your payment or transfer to Banco Santander ES61 0049 4579 8628 1002 3441. If you want your contribution goes for a project in particular, specify in the transfer the name of the project ( Project Formentera , Mallorca Project,PortoCristo Project).